As we’ve seen from recent announcements from big corporations such as EY, Twitter, Microsoft, and Coca-Cola, as well as cities and states like San Fransisco and New York, the workplace climate around parental leave and family friendly policies is rapidly changing. In fact, if you’re a business considering paid leave it now looks like you are in the majority. A recently leaked Poll by the state chambers of commerce shows very strong support from business in favor of policies that mandate paid parental leave – both maternity (72%) and paternity (82%). This is a big deal and shines a spotlight on where we are heading. As a small business owner navigating the new norms, you have some unique advantages — and opportunities — that larger businesses don’t. To start, you have the ability to be more nimble and responsive, both to the market and your employees. You can use this flexibility to create parental leave and family friendly policies that work for employees and your business. Company wide policy is important for procedural fairness and clarity, but keep in mind that the most effective policies are rarely cookie cutter. Rather, they are guidelines put into practice with the individual in mind. Flexibility should be a core design consideration, so managers have the space to support each employee’s unique circumstances. A clear parental leave policy and procedure which includes the number of paid and unpaid days available for leave (for women and men! ), an off-boarding and on-boarding plan, and a communication plan. A private and comfortable space for breastfeeding. When it comes to employee retention and talent development, nothing works better than making people feel supported and giving them the sense that they matter to their company. In our work we repeatedly see that employees blessed with this type of workplace atmosphere return from parental leave happy, engaged and with greater loyalty. Research shows that while individuals join companies for various reasons, they leave because of difficulties with their manager. When managers are trained and supported to shift their thinking and consider parental leave as a leadership development and retention opportunity — rather than a nuisance with a negative impact on the team and company — family-friendly policies will naturally become part of company culture. 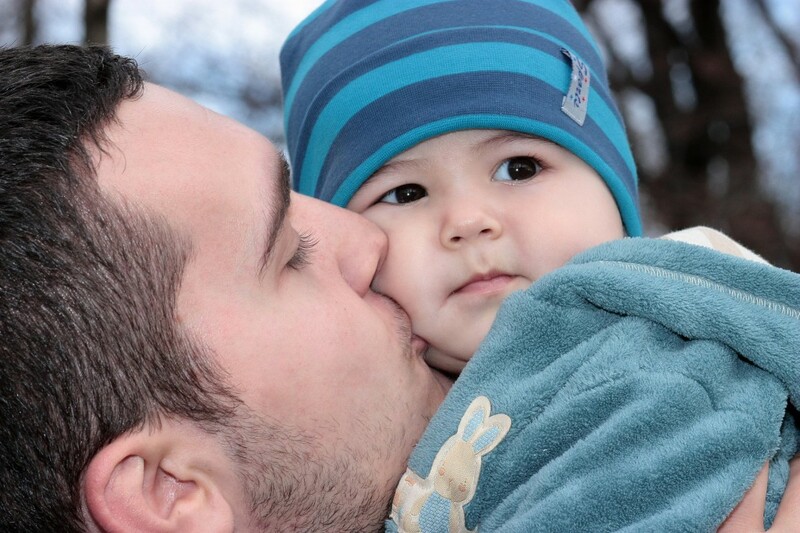 Many managers are unclear about how to handle parental leave. Make sure your managers know exactly how to support valuable employees through this complex time. Management training does not have to be elaborate or expensive, it can be as simple as an add-on workshop to existing management training, or even a top ten list clarifying the company’s parental leave or family friendly policies and procedures. Be clear about your company’s policy on flex schedules, remote work options, and sick leave. Often, all it takes is a simple shift in perspective, led by leadership. Working parents are not a special interest group currently winning the lobbying game: they are your company. Remember, every employee is part of a family of one sort or another. Your company is made up of members of families. You are a member of a family. This does not have to be framed as being exclusively about working parents. TRUST. Make it a norm to trust your employees: if someone asks to leave work early then graciously approve, knowing and expecting that they will make up their work another time. Employees who feel trusted rarely let their employers down. If on the rare chance they do, then talk to them and clarify your expectations and explore theirs. ASK. Your employees already know the things that will make their lives work better. Make it a practice to solicit what we call “little ideas to make a big difference” from your employees and then implement them. This example comes from a recent client who was asked what her manager could do to help, “I was at a 4 hour budget meeting with a ten minute bathroom break. I had to miss part of the meeting and endure the glares of superiors because I’m pumping right now. If they had put in one 20 minute break I would have been fine.” Being thoughtful matters, and often, awareness begins with a simple question. MODEL. Make it a norm to have management walk the talk. Start by giving them a goal to show their team their own family-friendly behaviors. For example, if management says “I’m not going to be responding to my email on the weekends. But I know some of you’d rather respond after hours for your own reasons. I get that, just know I don’t expect it.” That’s modeling a family-friendly boundary, and leaving control with the employee. TRAIN. Use parental leave as a training opportunity for others in the company. For example, if Matt is going out on paternity leave have him train Gina (who has recently been tapped as a rising star) to cover him while he is away. When Matt returns make sure Gina’s new skills and abilities don’t go to waste and aren’t acknowledged. Use parental leave to cross-train your workforce, enhance team communication, and create a solid talent pipeline. The business case for parental leave is solid and growing every day (see our RETAIN Research Roundtable). We could tell you how family friendly policies increase retention (they do, and it costs on average 1.5 years of pay to replace an employee). We could tell you how family friendly policies increase loyalty, productivity, and engagement (they do, and often dramatically). We could tell you about how family friendly businesses make more money (they do, and are run better). But really, it boils down to the fact that companies are made up of human beings, and human beings are part of families. And happy family members make more productive and engaged employees. It is really that simple. If you want to be a part of the broader social effort around paid leave, we recommend learning more about proposed legislation either locally, or nationally, and getting involved. For example, the FAMILY Act, currently in congress, is designed to take the financial burden of paid leave off of small business owners by creating a social insurance program that covers employee pay when they need to take family leave. If you want further information and a state-by-state breakdown of maternity leave legislation, click here.